Rahul Gandhi's criticism of the "Main Bhi Chowkidar" campaign was slammed by Law Minister Ravi Shankar Prasad, who said, "Those who are on bail or have a lot to hide are opposing it". Taking a jibe at Prime Minister Narendra Modi over the BJP's "Main Bhi Chowkidar" campaign ahead of the national elections, Congress president Rahul Gandhi today referred to the Rafale jet deal and asked why are all BJP leaders adding chowkidar to their names when "you (PM Modi) are stealing everything." As part of its "Main Bhi Chowkidar" campaign - a counter to Rahul Gandhi's "Chowkidar Chor Hai" barb - PM Modi and other leaders of the BJP have prefixed the word "chowkidar" or watchman to their names in their Twitter profile. The list includes BJP president Amit Shah, Finance Minister Arun Jaitley and Defence Minister Nirmala Sitharaman. Since its launch on Saturday, #MainBhiChowkidar has featured in nearly two million tweets. After PM Modi introduced it in his tweet, leading to a rash of BJP leaders mimicking him, the hashtag trended worldwide and stayed in India trends for two days. On Tuesday, the BJP took the campaign a step further and gave the people an option to have the campaign song as a phone caller tune. "When you (Modi) are stealing everything, why you have made all your leaders chowkidar?" 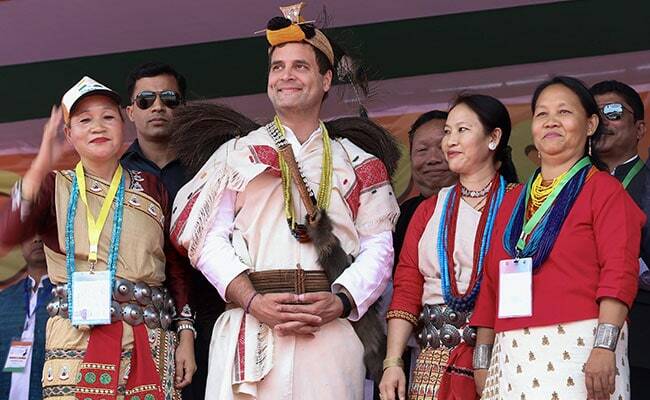 Rahul Gandhi said at a public rally in Arunachal Pradesh's capital Itanagar. The Congress president alleged that the "chowkidar" has been exposed in the Rafale deal. "When chowkidar himself turns a thief, how will the country progress?" he asked. Rahul Gandhi's Congress contends that Modi government finalised an overpriced deal for 36 Rafale fighter jets at an inflated price to benefit industrialist Anil Ambani, whose rookie defence firm was recommended as an offset partner for Dassault, the company manufacturing the aircraft. Both the government and the Ambani group have rejected the charge. Mr Gandhi's criticism of the "Main Bhi Chowkidar" campaign was slammed by Law Minister Ravi Shankar Prasad, who said, "Those who are on bail or have a lot to hide are opposing it".